Find everything you need to know about each Ancient Wonder, here! Click any wonder to see more. Once you place this wonder, you will begin receiving supplies every time you start scouting a province. 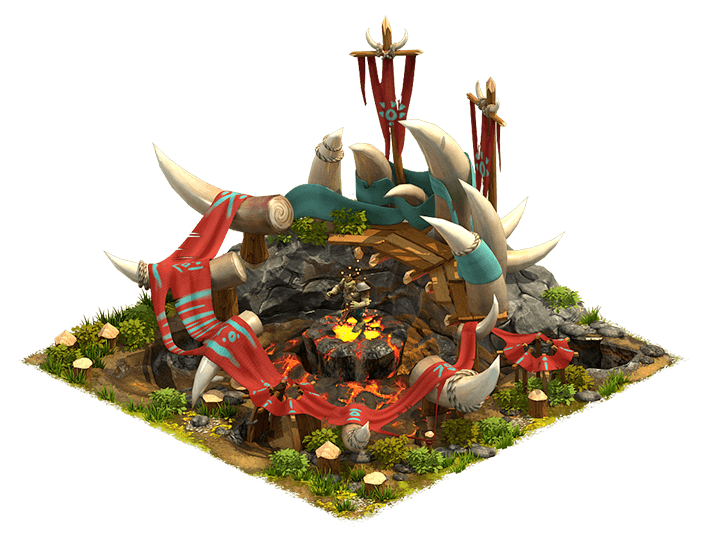 The amount you receive is based on your supplies storage capacity, meaning this wonder becomes more powerful not only when you upgrade it, but also when you upgrade your Main Hall. 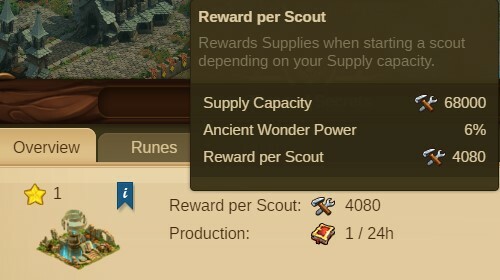 The ‘Ancient Wonder Power’ is the % of your Supplies storage capacity you will receive each time a scout is started. 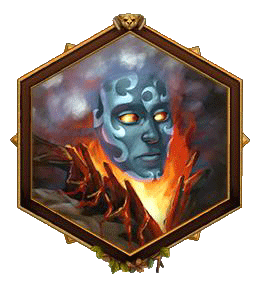 The Ancient Wonder Power increases by 1% for each level, and by 2% on each Rune level upgrade. Once you place this wonder, it will begin producing KP every 24 hours. The ‘Ancient Wonder Power’ is the number of KP produced. Once it is collected, another one will be available after 24 hours. The Ancient Wonder Power increases by 1 with each Rune level upgrade. 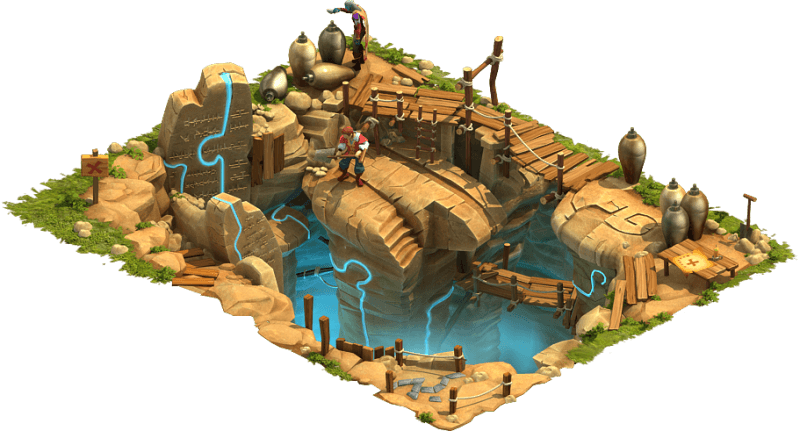 You would like another source for supplies; even at lower levels, this wonder can produce as many supplies as 1-2 workshops, for scout times up to 48 hours. If you are still a small city with a low scout time, the extra supplies will really add up! Over time, the cumulative KP value of the wonder can become significant, especially as it is upgraded. You are already an advanced city and your scout is not sent as often. You already have plenty of supplies often enough. While it can be a significant KP source over time, it is not in the short term; there are better choices if you are strapped on space and don’t need the supplies, such as Carting Libraries or other KP-producing event buildings, instead. Once you place this wonder, it will begin producing coins. A production will take 3 hours, and once it is collected, another production will automatically begin. 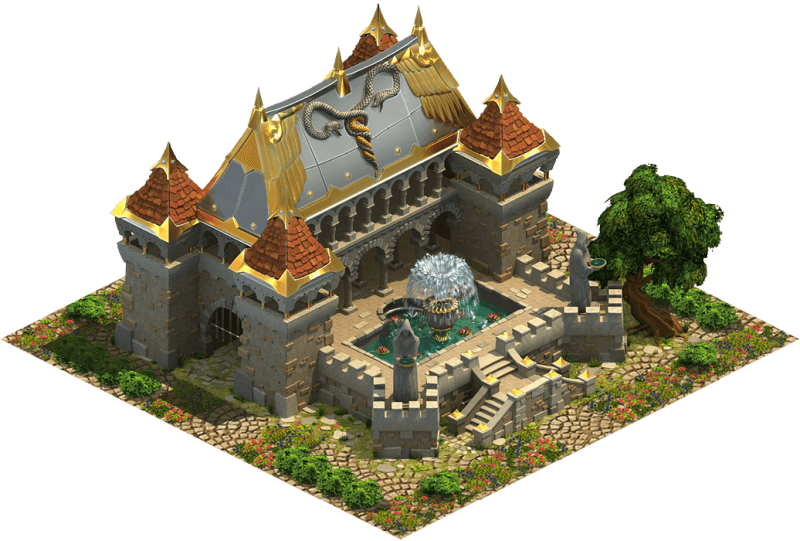 The ‘Ancient Wonder Power’ is the % of your Coins storage capacity you can collect as often as every 3 hours. 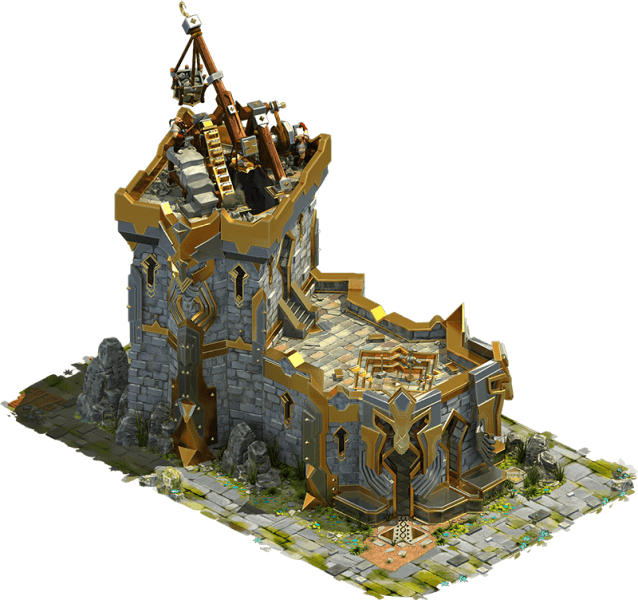 This means this wonder becomes more powerful not only when you upgrade it, but also when you upgrade your Main Hall. Once you place this wonder, it immediately adds a % of your required population to your city. This means every time you add buildings that require population, the amount of population added by this wonder increases as well. In effect, it’s like getting a discount on all future population requirements. Note, however, this also means if you SELL buildings that use population, your available population will not increase by the total amount of population the building required. Example: If you sell a level one workshop that uses 15 population, your available population may only increase by 12 or 13 (depending on level of wonder), because while your required population is decreasing by the full 15, that means the Abyss is producing less, so that amount is subtracted from the population you get back. 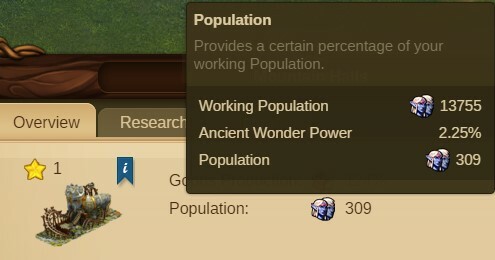 The ‘Ancient Wonder Power’ is the % of required population that the wonder adds. The Ancient Wonder Power increases with each upgrade. It gives a lot of coins. It grows with you, becoming more valuable as you progress, even if you don’t upgrade it. Upgrading it makes it extremely valuable. When first unlocking this wonder, the population per square is not impressive. However, as you grow, and as you level it up, it can very quickly become more valuable than a residence while taking less space. We think this is a fine enough reason to wait a little while before building this wonder, perhaps until unlocking and building 3rd tier goods, but not to skip it altogether. It’s one of the few must-haves for every city! Once you place this wonder, you will begin receiving a relic, or multiple relics at higher levels, every time you complete an entire province on the World Map. You will receive the relic type of the province completed. 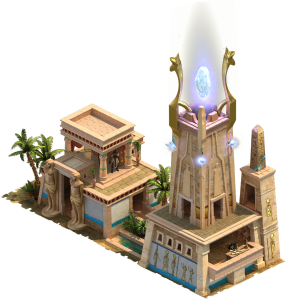 The ‘Ancient Wonder Power’ is the # of additional Relics you will receive each time a province is finished. The Ancient Wonder Power increases by 1 on each Rune level upgrade. Once you place this wonder, it will begin producing supplies every 24 hours. 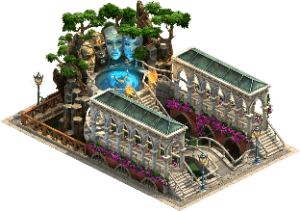 The amount produced is based on your supplies storage capacity, meaning this wonder becomes more powerful not only when it is upgraded, but also each time the Main Hall is upgraded. 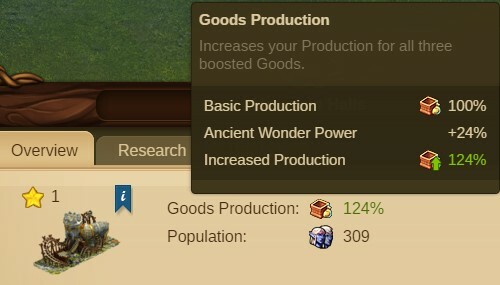 The ‘Ancient Wonder Power’ is the % of your supplies capacity you will receive from each supplies production. Once the production is collected, another one will be available after 24 hours. The Ancient Wonder Power increases by .5% for each level it is upgraded, and 1% for each Rune level upgrade. You like to use fewer workshops and want another supplies source. The amount of supplies it gives grows with you as you upgrade your Main Hall. It only produces every 24 hours, but it produces a very large amount; it can easily out-perform/replace a normal (non-magic) workshop. While not a significant source for relics, it can really come in handy when it comes to events and quests that want you to gain x number of relics. 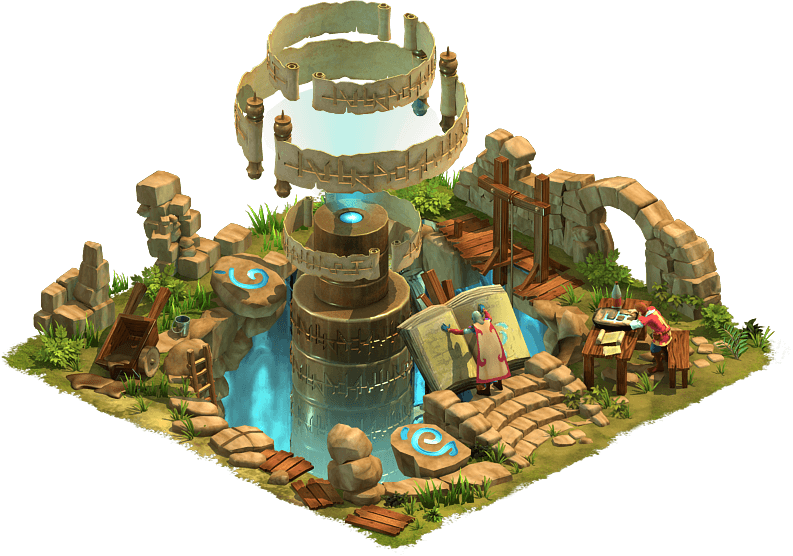 You already have a supplies-producing wonder such as Tome of Secrets and have other wonders to build instead. Is not a significant source for relics. If you don’t need the supplies, pass. 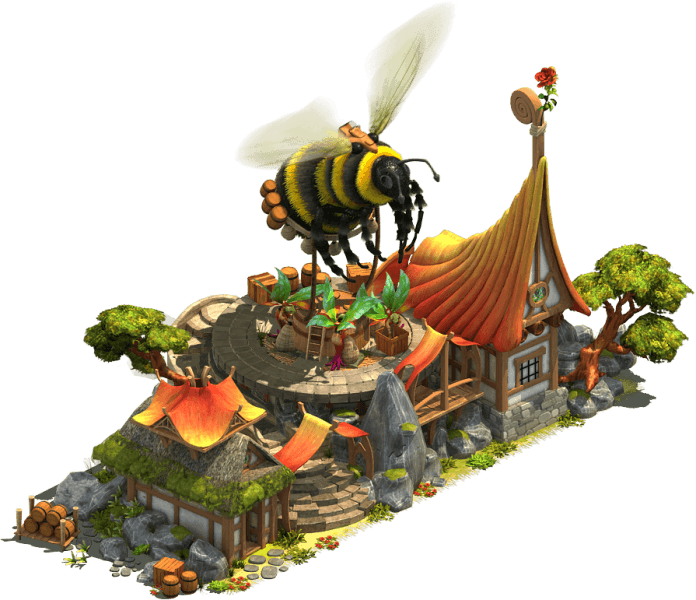 Victoria says: “Supplies just aren’t a priority for me, so I haven’t built it, yet, but maybe I will at some point after I have all the other wonders I want if I have space. Once you place this wonder, all of your Light Ranged units become instantly stronger. 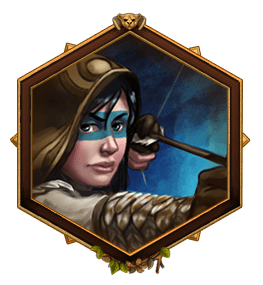 This includes Crossbowmen for Humans, Archers for Elves, Dryads, and Rangers. 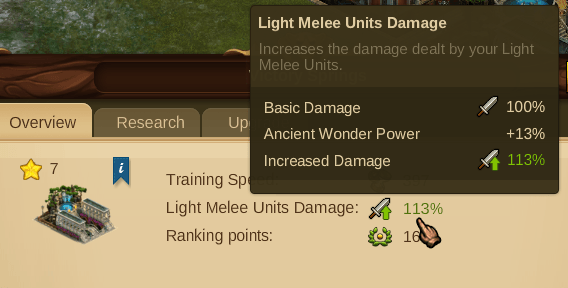 The ‘Ancient Wonder Power’ is the % increase in damage your Light Ranged units will gain. The Ancient Wonder Power increases by 1% with every upgrade, and by 2% with Rune level upgrades. Once you place this wonder, the amount of time it takes to train units in the Barracks will be lower. 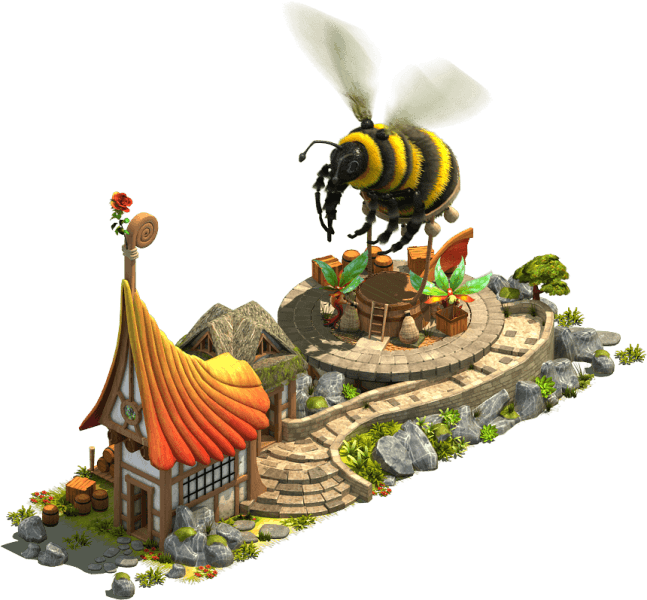 Note: The faster speed only applies to units added to the queue after the wonder is placed or upgraded. 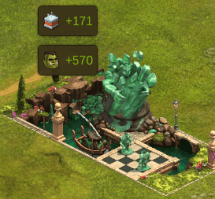 If you have units in queue, and construction for adding or upgrading this wonder completes, remove and re-add them in order for the faster speed to apply. 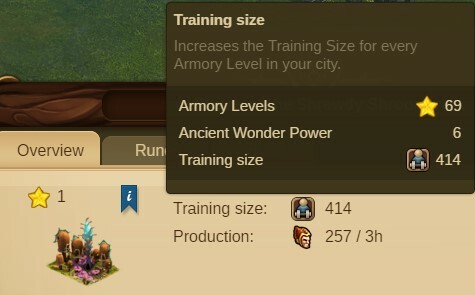 The ‘Ancient Wonder Power’ is the % increase to the Barracks’ Training Speed. The Ancient Wonder Power increases by 2.5% with each upgrade, and 5% with Rune level upgrades. You enjoy focusing on the battle elements of the game. It helps you increase the strength of a frequently used unit, and it increases your training speed so you can produce more units. You don’t battle often or at all. You don’t use Light Ranged units often. 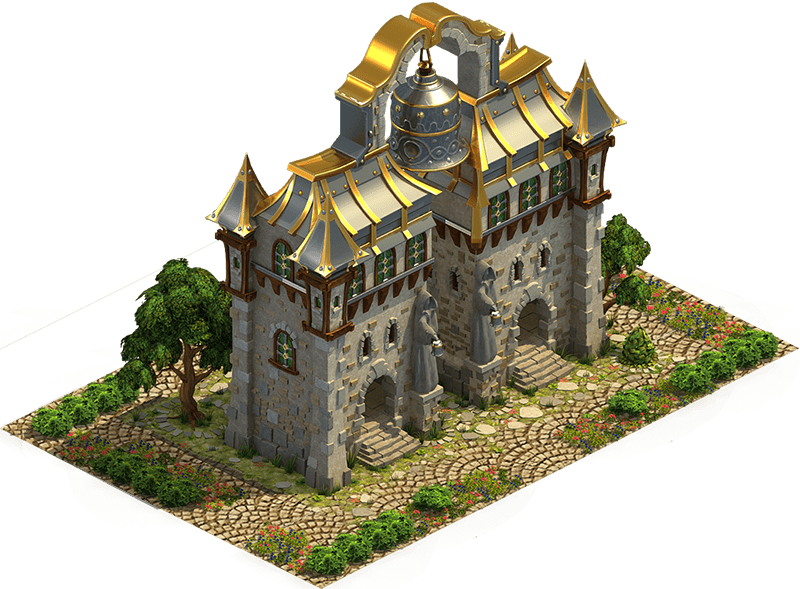 You have other more powerful battle-oriented wonders to build instead. 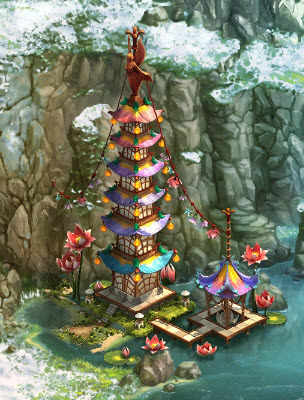 Each race gets their own version of this building which looks different, but otherwise they are equivalent in every way. 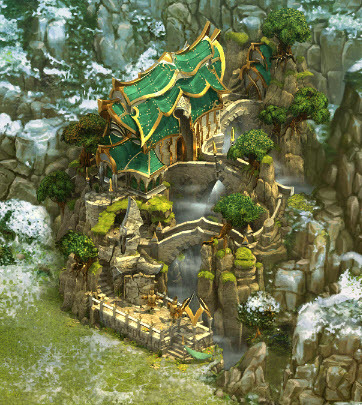 Once you place this wonder, your army units become instantly stronger in battle, able to withstand more damage before being defeated. 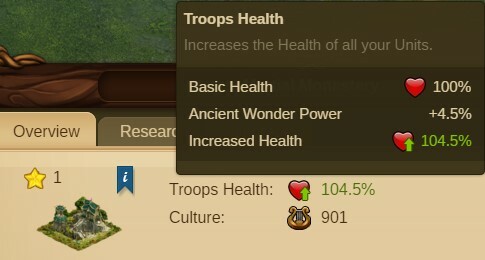 The ‘Ancient Wonder Power’ is the % of health increase your army units receive. 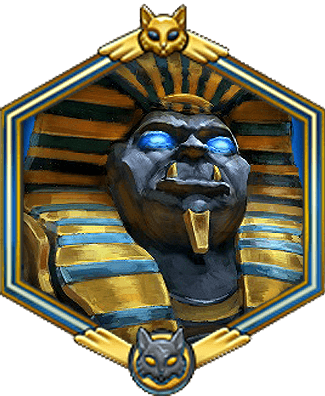 The Ancient Wonder Power increases by 0.75% with each level upgraded, and by 1.5% with each Rune level upgrade. Once you place this wonder, it immediately adds a % of your required culture to your city. This means every time you add buildings that require culture, the amount of culture added by this wonder increases as well. In effect, it’s like getting a discount on all future culture requirements. Note, however, this also means if you SELL buildings that use culture, your available culture will not increase by the total amount the building required. Example: If you sell a building that says it will give you back 100 culture, your available culture may only increase by 94 (depending on level of wonder), because while your required culture is decreasing by the full 100, that means the wonder is producing less, so that amount is subtracted from the culture you get back. The ‘Ancient Wonder Power’ is the % of required culture added. 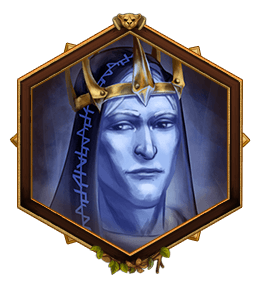 The Ancient Wonder Power increases by 1% for each level it is upgraded, and by 2% for each Rune level upgrade. You like to fight; the increase to your troops health helps you do better in battles. 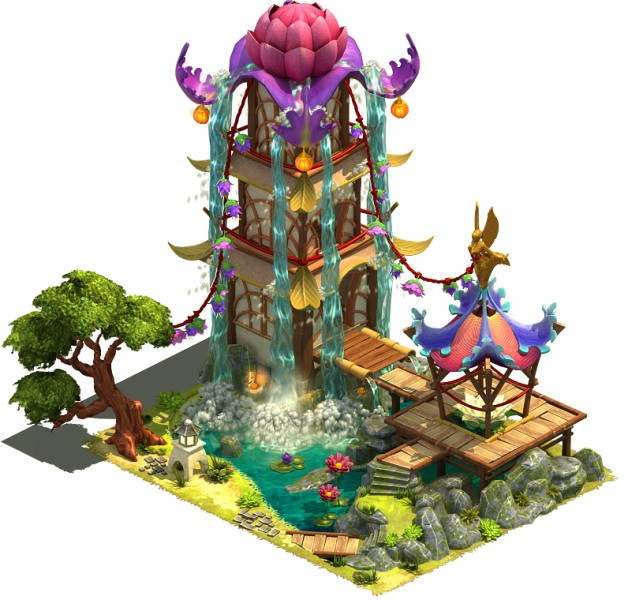 Adds a decent amount of culture, and grows in value as you grow even without upgrading it. You don’t like to fight, nor do you have any use for more culture. You don’t have a lot of extra space; the culture benefit of this wonder is great, but the per-square value takes an upgrade or two to truly pay off. Each race gets their own version of this building. Each looks different, and has opposite orientation, but otherwise they are equivalent in every way. Once you place this wonder, you will begin receiving some of your boosted goods in every Neighborly Help reward chest that you collect. You will receive some of either your 1st, 2nd, or 3rd tier boosted goods, determined randomly for each chest. The ‘Ancient Wonder Power’ is the multiplier used to determine how many goods you receive in each chest. The number of provinces you have completed is multiplied by this number to determine the amount of goods. The Ancient Wonder Power increases by .5 with every upgrade, and by 1 with Rune level upgrades. Once you place this wonder, the length of time neighborly help polishes last for is instantly increased. 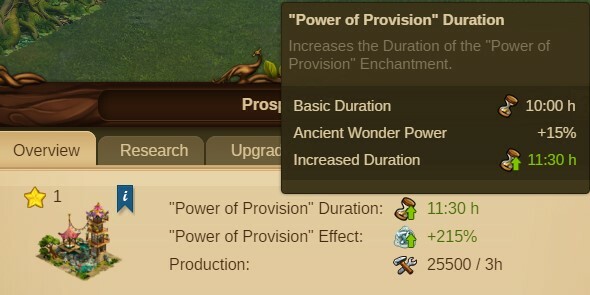 The ‘Ancient Wonder Power’ is the % increase to the basic duration. 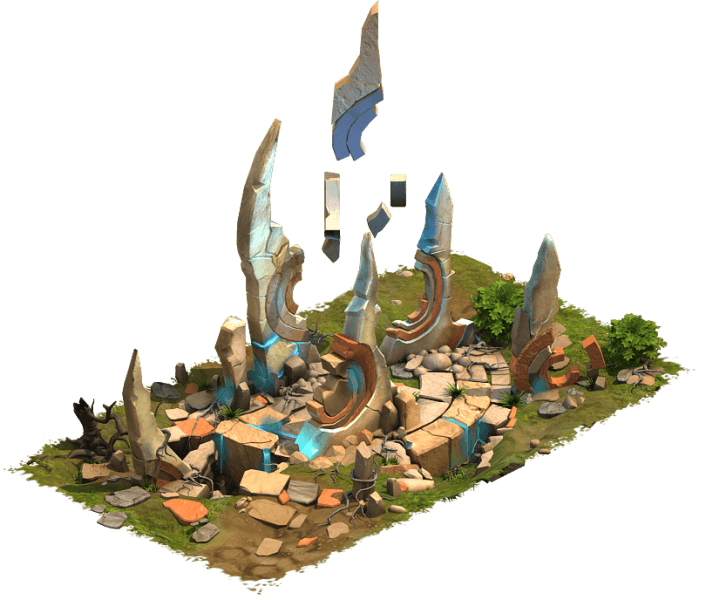 The Ancient Wonder Power increases by 5% with each upgrade, and 10% with Rune level upgrades. You have many culture buildings and would really benefit from the longer neighborly help effect. Provides daily boosted goods equivalent to roughly 1-2 manufactories depending on various factors for minimal effort. 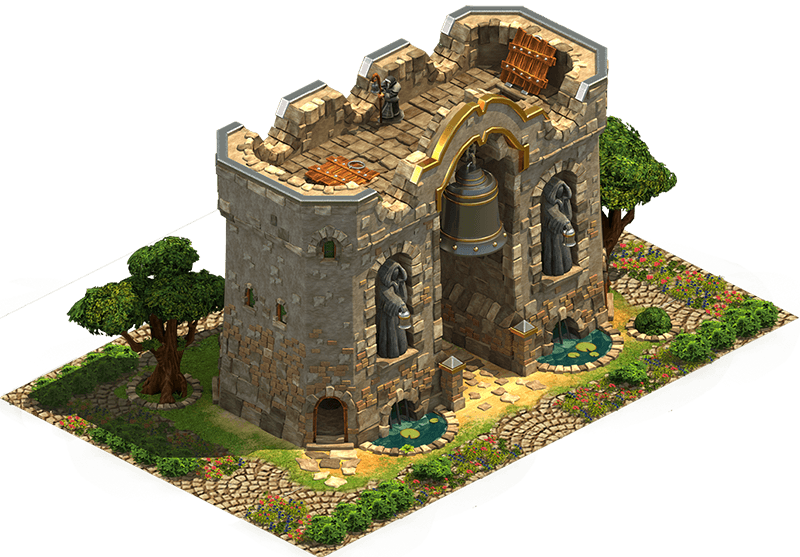 Compliments the Watchtower ruins very well, helping you get longer AND stronger neighborly help. You don’t get a lot of neighborly help or care about culture bonus. You DO get a lot of neighborly help; more than you have buildings to be polished. You don’t have a need for additional boosted goods. 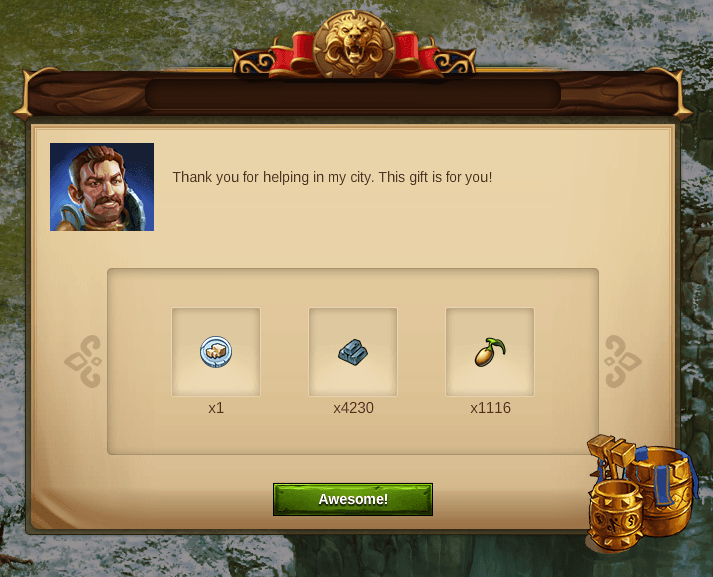 You only give Neighborly Help on mobile; reward chests are only available on browser. Once you place this wonder, all neighborly help will instantly become more valuable. 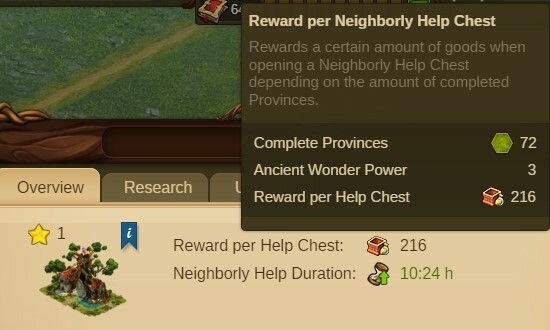 The ‘Ancient Wonder Power’ is the % increase to the neighborly help bonus that you will receive. The Ancient Wonder Power increases by 2% for each level it is upgraded, and by 4% for each Rune level upgrade. You receive a fair amount of neighborly help; this wonder increases how much each polish is worth. Its power grows with you, even without upgrading it. You don’t have a need for more culture; culture is the only benefit of this Ancient Wonder. 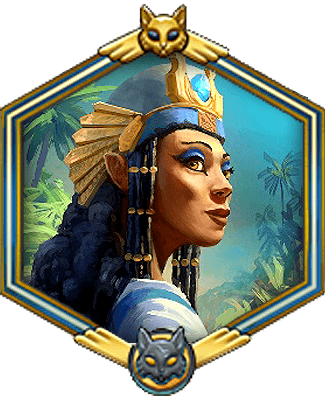 Once you place this wonder, you will have a new type of ranking points added to your score called ‘Ancient Wonder Ranking Effect’. 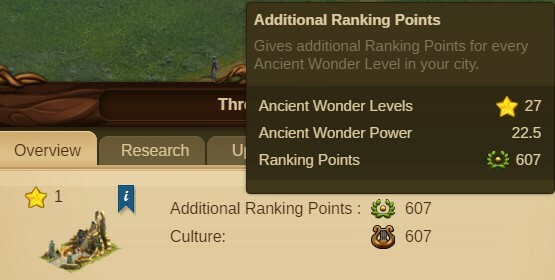 The amount of ranking points added depends on the total number of Ancient Wonder Levels you have in your city. The ‘Ancient Wonder Power’ is the multiplier that determines the ranking points added. The Ancient Wonder Power increases by 3.75% with every upgrade, and by 7.5% with Rune level upgrades. 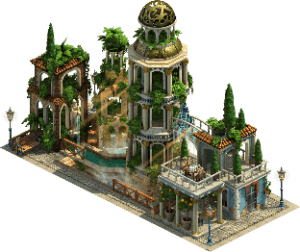 This building adds more culture to your city, based on the total number of Ancient Wonder levels in your city. The ‘Ancient Wonder Power’ is the multiplier that determines the culture amount added. The Ancient Wonder Power increases by 3.75% with every upgrade, and by 7.5% with Rune level upgrades. You are concerned with points and ranking; this wonder adds ranking points for every wonder level you have in place. Gives additional culture to your city. Ranking is not your top priority. It is useless during initial stages of your city and only truly becomes useful once you have a lot of wonders built and don’t have other sources to grow your points. Once you place this wonder, it begins producing Light Melee units every 3 hours. The ‘Ancient Wonder Power’ is the % of your squad size that will be produced every 3 hours. 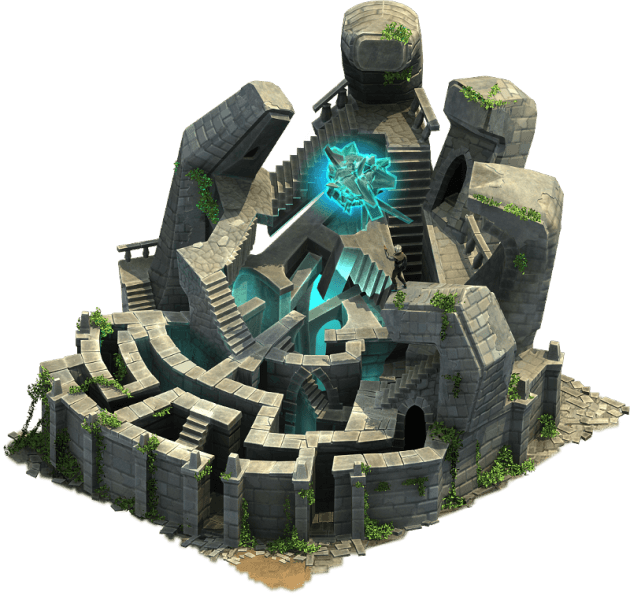 The Ancient Wonder Power increases by 3.75% for each level it is upgraded, and by 7.5% for each Rune level upgrade. Once you place this wonder, your training size will increase significantly. 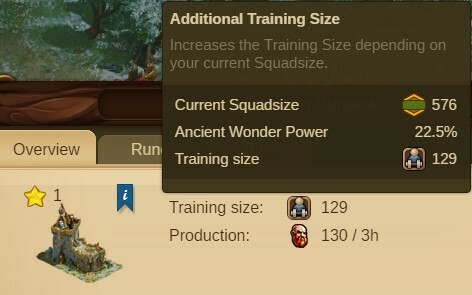 The ‘Ancient Wonder Power’ is the % of your squad size that will be added to your training size. You want to increase your training size. You use Axe Barbarians or Sword Dancers in battles. 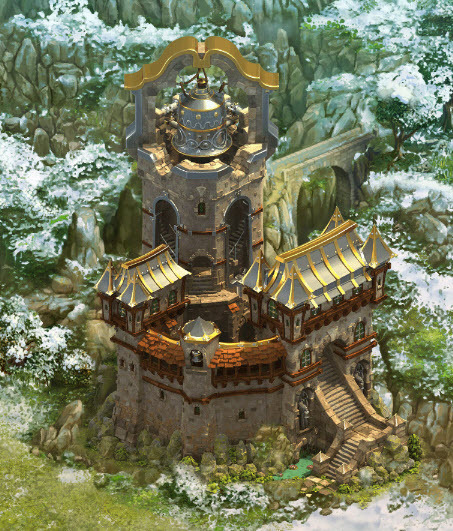 If you are not a fighter, this wonder is useless to you and will take up space from other important buildings. 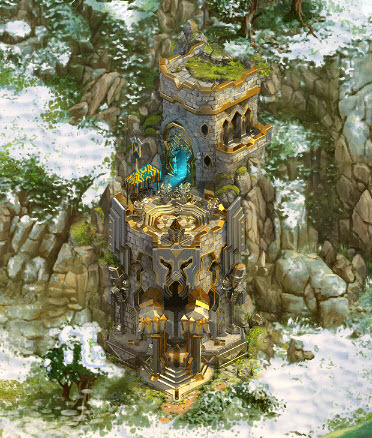 Once you place this wonder, your relic boost will become stronger, increasing the amount of goods you produce. 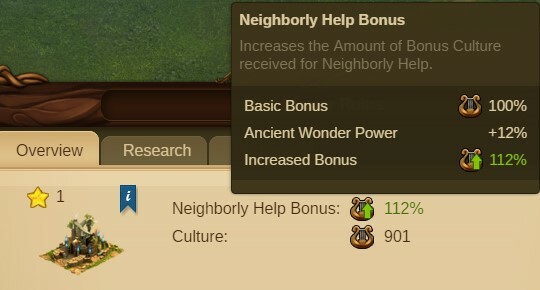 The ‘Ancient Wonder Power’ is the % added to the basic bonus. The Ancient Wonder Power increases by 4% with every upgrade, and by 8% with Rune level upgrades. Example: If you sell a level one workshop that uses 15 population, your available population may only increase by 12 or 13 (depending on level of wonder), because while your required population is decreasing by the full 15, that means the wonder is producing less, so that amount is subtracted from the population you get back. 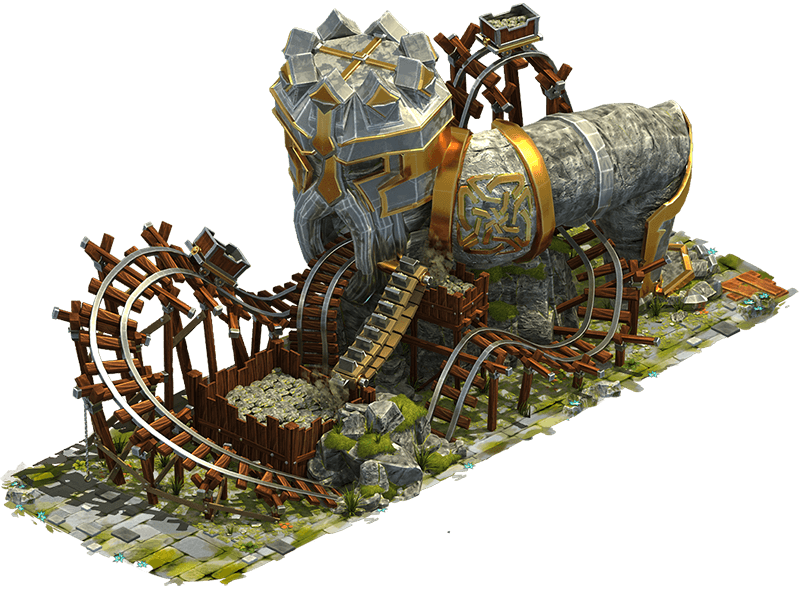 The ‘Ancient Wonder Power’ is the multiplier that determines the culture amount added. The Ancient Wonder Power increases with each upgrade. Provides a good amount of population as your city grows! Increase the total total value of your boost goods from 700% to 836% at maximum level! If you are only building it for the population and are limited in space, Golden Abyss is a better choice. 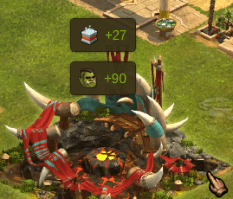 If you carry a low number of manufactories, such as 2 or fewer of each tier, the goods boost is negligible, and it will take many more upgrades for the benefits to justify the space used. Once you place this wonder, all Power of Provision Enchantments will last longer than usual. The ‘Ancient Wonder Power’ is the % the basic duration time will be increased by. 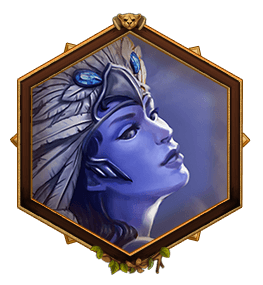 The Ancient Wonder Power increases by 2.5% for each level it is upgraded, and by 5% for each Rune level upgrade. 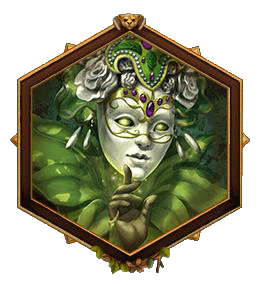 Once you place this wonder, Power of Provision Enchantments will have a stronger than usual effect. The ‘Ancient Wonder Power’ is the % the basic effect will be increased by. This wonder will produce supplies every 3 hours. The amount produced is based on your supplies storage capacity. The ‘Ancient Wonder Power’ is the % of your storage capacity that is produced every 3 hours. 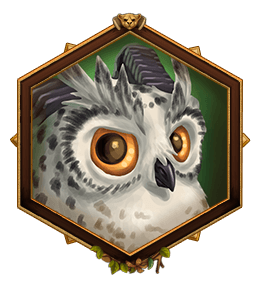 The Ancient Wonder Power increases by .125% for each level it is upgraded, and by .25% for each Rune level upgrade. You need more supplies. The 3 hr supplies output of this wonder outperforms a workshop with a 170% culture bonus, even when first placed. You use Power of Provision Spells often. You are already making more than enough supplies. You don’t play often enough in the day for the multiple collections it takes to make this wonder more valuable than a workshop. You don’t use Power of Provision Spells often. 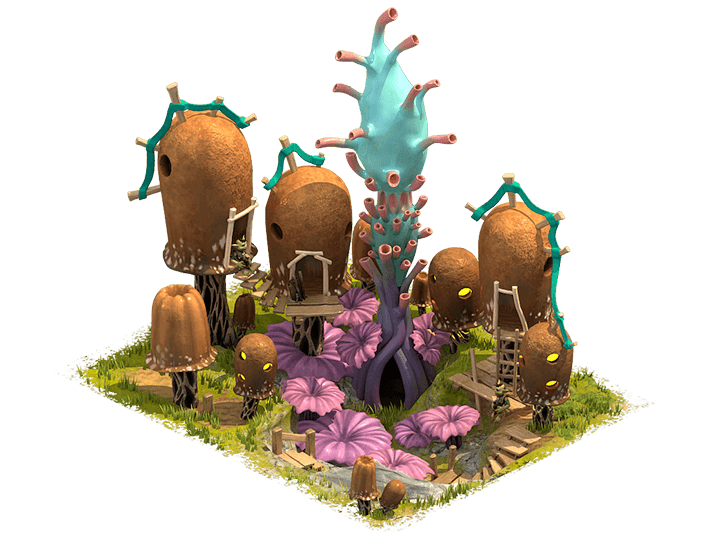 Once you place this wonder, you will see a lower than usual trading fee for trades posted by undiscovered neighbors. 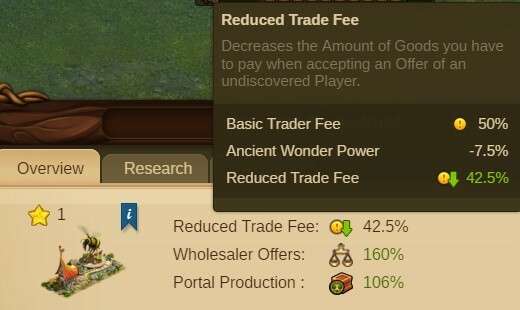 The ‘Ancient Wonder Power’ is the % the basic fee is reduced by. The Ancient Wonder Power increases by 1.25% with every upgrade, and by 2.5% with Rune level upgrades. Once you place this wonder, the purchase quantities offered by the wholesaler will be higher. You can purchase more goods for the same price. 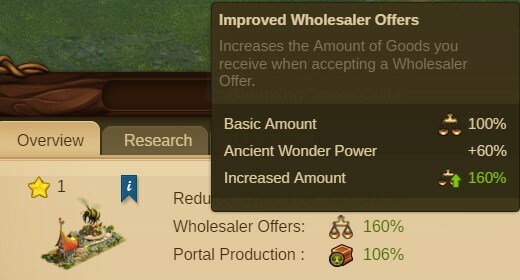 The ‘Ancient Wonder Power’ is the % the basic wholesaler offer quantity is increased by. The Ancient Wonder Power increases by 10% with every upgrade, and by 20% with Rune level upgrades. 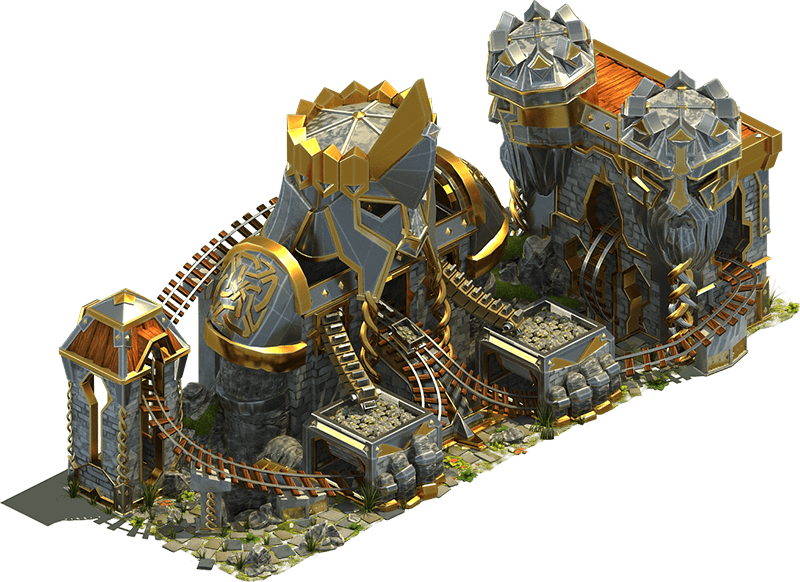 Once you place this wonder, the production boost of any portal in your city will be increased. The ‘Ancient Wonder Power’ is the % the basic bonus is increased by. The Ancient Wonder Power increases by 4% with every upgrade, and by 8% with Rune level upgrades. 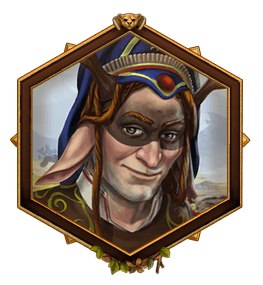 You like to progress further and faster in guest race chapters; this wonder enhances all guest race portal production bonuses. You use the wholesaler a lot or accept trades from undiscovered neighbors often. It takes quite a few upgrades before the portal bonus really starts to pay off. You have several Portal Profit instants, which can easily be just as and more valuable than the portal bonus this wonder provides. You don’t trade often with the wholesaler or with undiscovered neighbors. Once you place this wonder, all of your Heavy Melee units become instantly stronger. This includes Paladins for Humans, Treants for Elves, Orc Warriors, and Vallorian Guards. The ‘Ancient Wonder Power’ is the % increase in damage your Heavy Melee units will gain. The Ancient Wonder Power increases by 1% with every upgrade, and by 2% with Rune level upgrades. Once you place this wonder, it will begin producing Orcs every 24 hours. 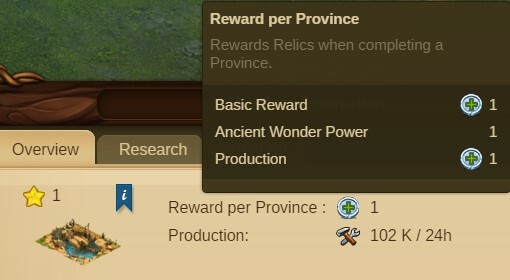 The ‘Ancient Wonder Power’ is the % of your completed provinces that will be produced in Orcs. Once the production is collected, another one will be available after 24 hours. 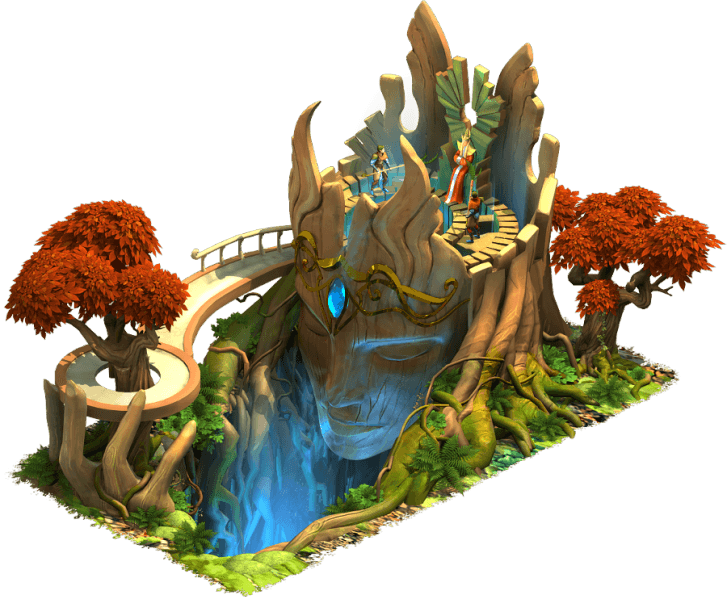 The Ancient Wonder Power increases by 20% with each level it is upgraded, and by 40% with each Rune level upgrade. You use Heavy Melee units in battle often. You like free Orcs! Reduces the need to use supplies to produce Orcs in your breeding grounds. You don’t fight or need extra Orcs. It takes a few upgrades to truly realize the benefits of this wonder. Once you place this wonder, your training size will grow significantly. The ‘Ancient Wonder Power’ is the multiplier that determines how many units are added to the training size. This number is multiplied by the total number of armory levels in your city. The Ancient Wonder Power increases by 1 with each upgrade, and by 2 with each Rune level upgrade. 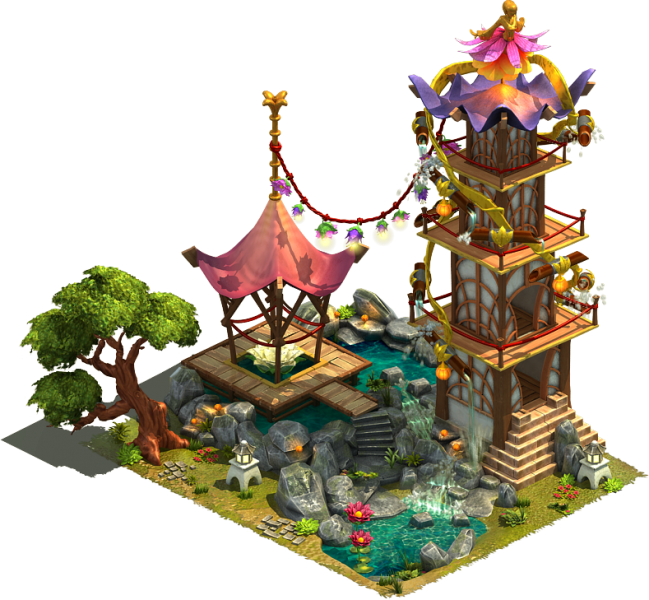 You would like a higher training size; the more armories you have, the more it adds! You can save you an armory, or just add a lot to your training size. 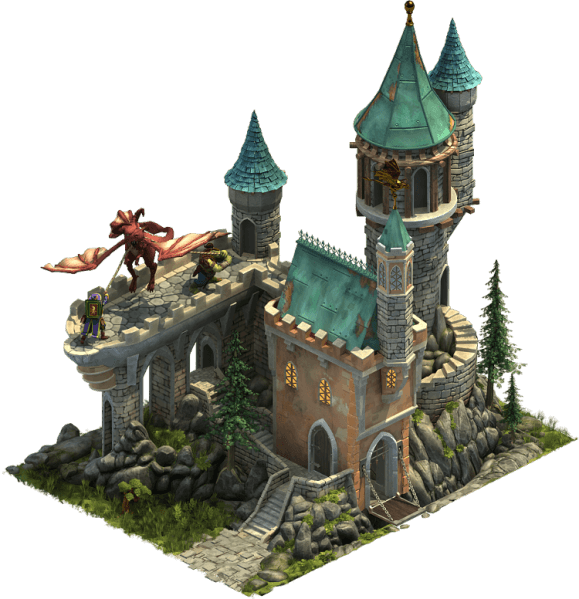 You may not want your training size to be much higher; the higher it is, the more supplies it will take you to fill your barracks. Once you place this wonder, you will begin receiving mana every time you start a scout. The ‘Ancient Wonder Power’ is the multiplier that determines how much mana is produced each time a scout is sent. This number is multiplied by the total number of provinces you have completed. The Ancient Wonder Power increases by 10 with each upgrade, and by 20 with each Rune level upgrade. The ‘Ancient Wonder Power’ is the number of Broken Shards generated. The Ancient Wonder Power increases 1 for each Rune level upgrade. You have space and can use extra Mana. You can earn an extra broken shard every 7 days; they do add up! 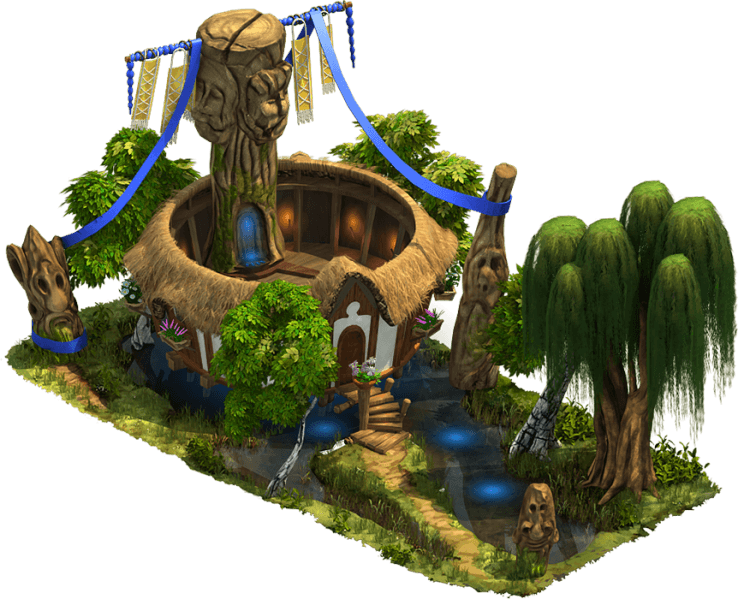 It takes many upgrades to produce any significant amount of Mana for the space it uses. It’s not a significant source for broken shards until very high levels. 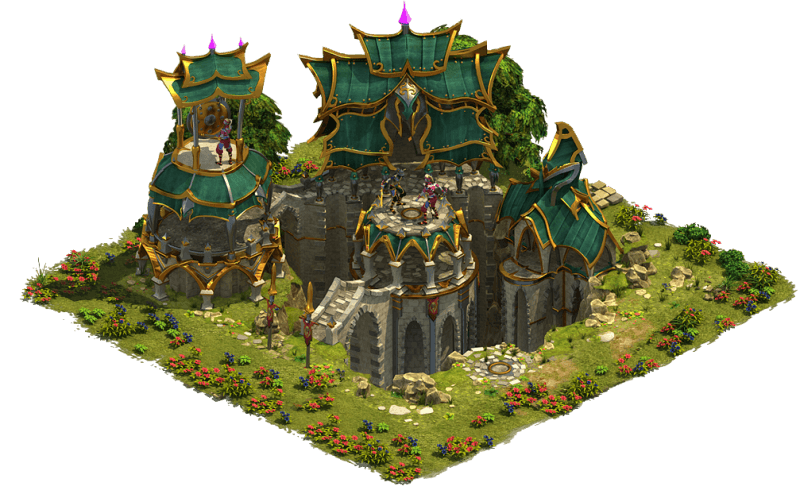 Once you place this wonder, the amount of time it takes to train units in the Mercenary Camp will be lower. 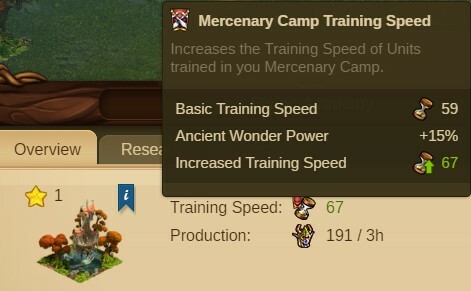 The ‘Ancient Wonder Power’ is the % increase to the Mercenary Camp’s Training Speed. Once you place this wonder, it begins producing Mage units every 3 hours. 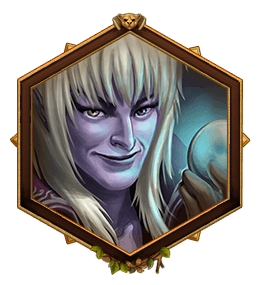 You like free units – Mage Units! You train a lot in your Mercenary Camp; this wonder increases its training speed. Once you place this wonder, it begins producing Mana every 3 hours. 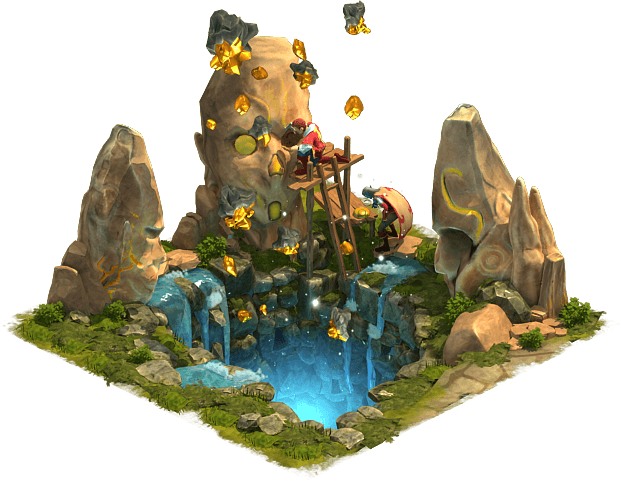 The ‘Ancient Wonder Power’ is the multiplier used to determine how much Mana is collected. This number is multiplied by the total number of provinces you have scouted. Once you place this wonder, your mana decay amount will be lower. The ‘Ancient Wonder Power’ is the % the basic decay rate is reduced by. The Ancient Wonder Power increases by .2% for each level it is upgraded, and by .4% for each Rune level upgrade. The production of Mana per square per hour may not feel impressive at first, but combine this with the reduced decay rate and it really makes a difference. This wonder takes up a lot of space and doesn’t produce much Mana. This wonder takes several upgrades before its benefits are truly realized. Once you place this wonder, all of your Mage units become instantly stronger. This includes Priests for Humans, Sorceresses for Elves, Banshees, and Blossom Mages. The ‘Ancient Wonder Power’ is the % increase in damage your Mage units will gain. The Ancient Wonder Power increases by 1% with every upgrade, and by 2% with Rune level upgrades. Once you place this wonder, you can have mana on demand! You receive some mana every time you use any enchantment (does not include Combining Catalyst). 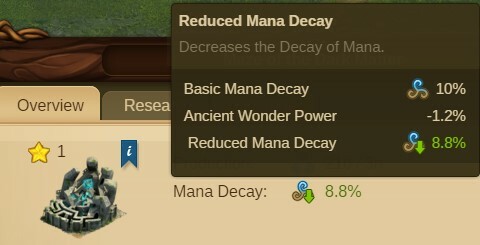 The ‘Ancient Wonder Power’ is the multiplier used to determine how much mana you receive with each enchantment placed. It is multiplied by the total number of provinces you have completed. The Ancient Wonder Power increases by 1 for each level it is upgraded, and by 2 for each Rune level upgrade. You like to fight; this wonder increases the strength of your Mage units. You use or have a lot of enchantments; you get Mana for each one you use! You don’t like to fight. You don’t need more Mana. Everyone needs more Mana, and who doesn’t need it on demand? Build this wonder. 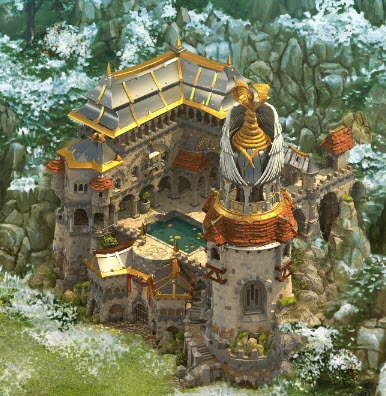 Once you place this wonder, it begins producing Heavy Ranged units every 3 hours. Once you place this wonder, all of your Heavy Ranged units become instantly stronger. This includes Mortars for Humans, Golems for Elves, Orc Strategists, and Faineant Frogs. 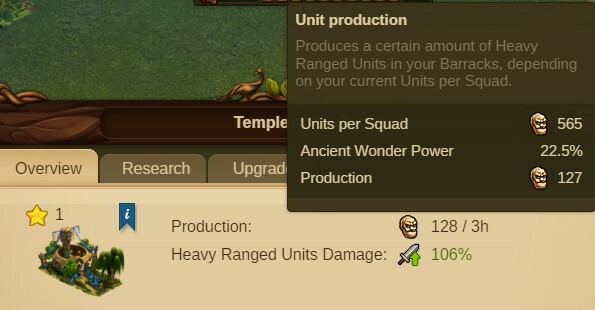 The ‘Ancient Wonder Power’ is the % increase in damage your Heavy Ranged units will gain. The Ancient Wonder Power increases by 1% with every upgrade, and by 2% with Rune level upgrades. 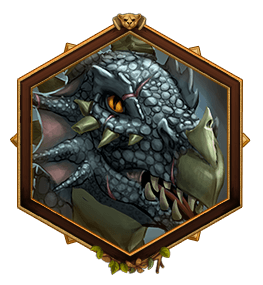 You like free units – Heavy Ranged Units!Increases the attack power of the Heavy Ranged units. Once you place this wonder, all Magical Manufactoring Enchantments will last longer than usual. Once you place this wonder, Magical Manufactoring Enchantments will have a stronger than usual effect. 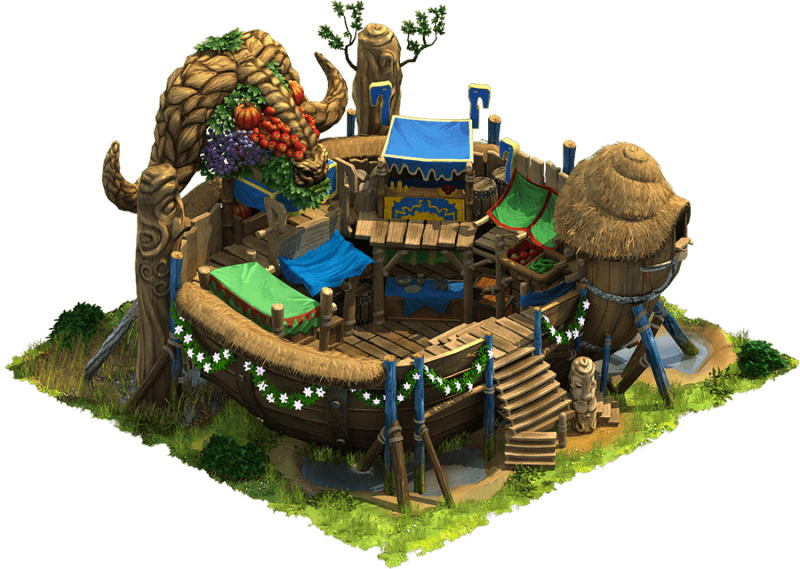 You don’t have high enough seeds production from your trader alone and need to supplement it. You use Magical Manufactoring enchantments often. You don’t need any more seeds; your trader is already producing more than enough. You don’t use Magical Manufactoring enchantments often. 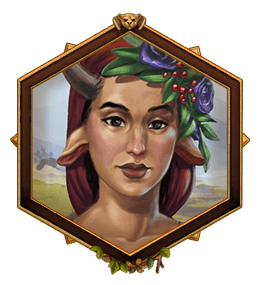 Once you place this wonder, you will begin seeing Divine Seeds in Neighborly Help Reward Chests. The amount depends on the level of the wonder, and the level of your main hall. The ‘Ancient Wonder Power’ is the multiplier that is used. 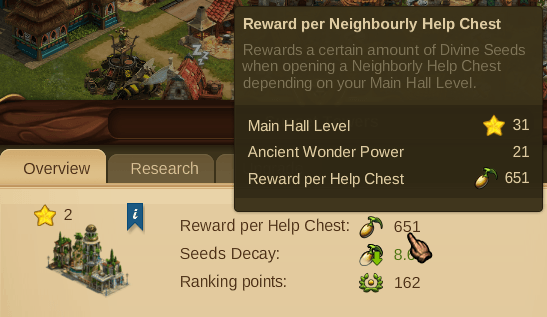 When you first place the Ancient Wonder, this will be 18, meaning you will get 18x your Main Hall level in each Neighborly Help Reward Chest. 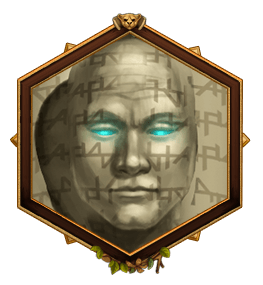 The Ancient Wonder Power increases by 3 with each level upgraded, and by 6 on Rune-level upgrades. Once you place this wonder, your Divine Seeds will begin decaying at a slower rate. Instead of losing 10% in decay each day, you will only lose 8.8%. The ‘Ancient Wonder Power’ is the amount deducted from the standard decay rate, based on the level of the wonder. 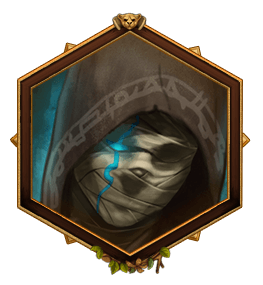 The Ancient Wonder power increases by .2% with each level upgraded, and by .4% on Rune-level upgrades. You don’t need any more seeds; the only purpose of this wonder is to help with Divine Seeds. Once you place this wonder, your Training Grounds speed will increase. NOTE: The increase will only apply to new units added to the training queue. 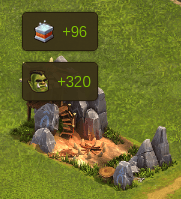 If you have training grounds units in the queue when the construction for placing or upgrading this wonder completes, cancel and re-add them for the increased speed to be applied. 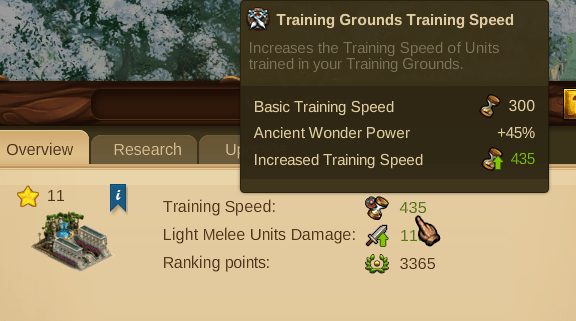 The ‘Ancient Wonder Power’ is the % increase you are receiving in training speed. At level 1, it makes your Training Grounds speed 15% faster. The wonder power increases by 2.5% with each level upgraded, and 5% on Rune-level upgrades. 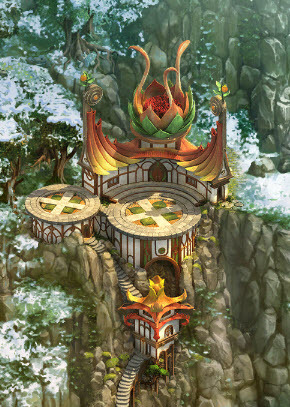 Once you place this wonder, all of your Light Melee units, including Axe Barbarian for Humans, Sword Dancer for Elves, Cerberus, and Drone Rider, become stronger in battle. 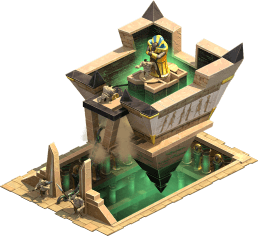 The ‘Ancient Wonder Power’ is the increase in attack power your units receive. 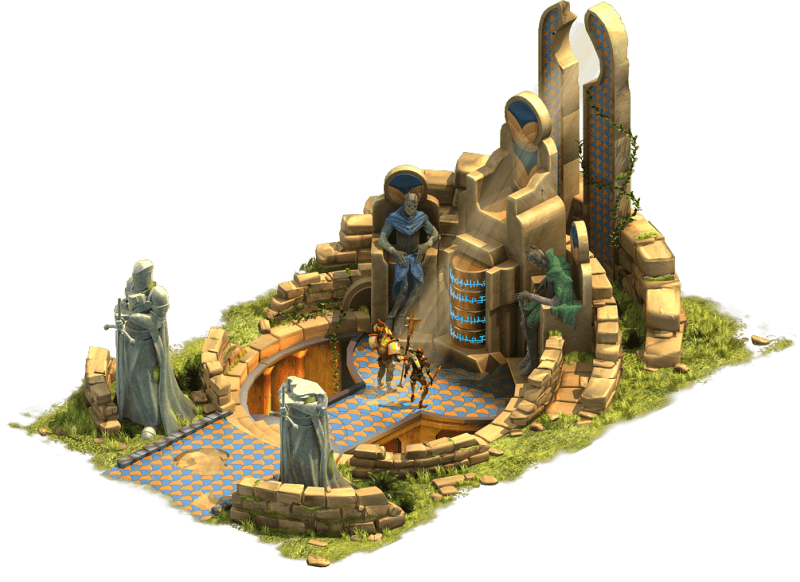 The Ancient Wonder power starts at 6%, and increases by 1% with each level upgraded, and by 2% on Rune-level upgrades. You fight often; the enhancement to Light Melee units really helps. You train and use Training Grounds units (Cerberus, Dryad, Banshee, Orc General, Orc Strategist) often. You don’t fight; this wonder only provides military benefits. 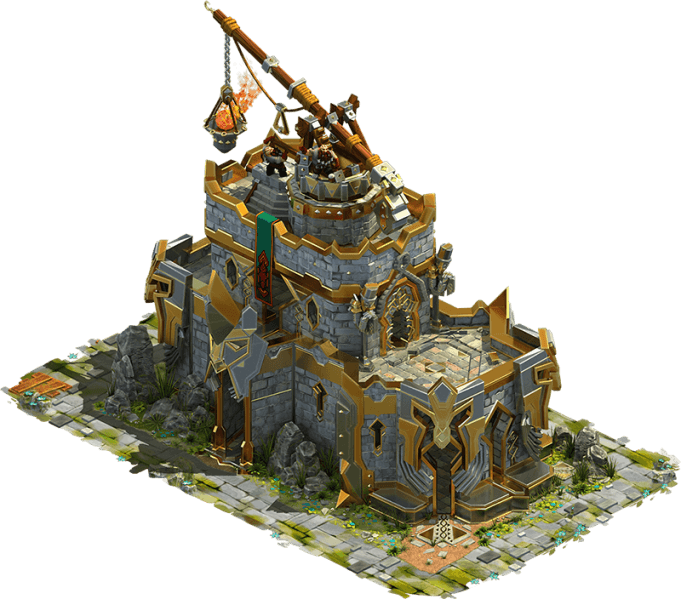 Once you place this wonder, it will begin producing the Heavy Melee unit of your Barracks, which you can collect every 3 hours. The ‘Ancient Wonder Power’ is the % your Squad Size the wonder will produce. 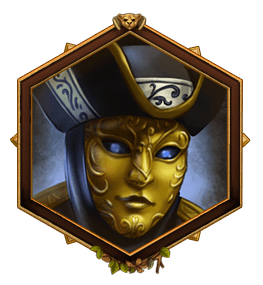 When you first place the Ancient Wonder, this will be 22.5%, meaning it will produce 22.5% of a squad in Heavy Melee units every 3 hours. 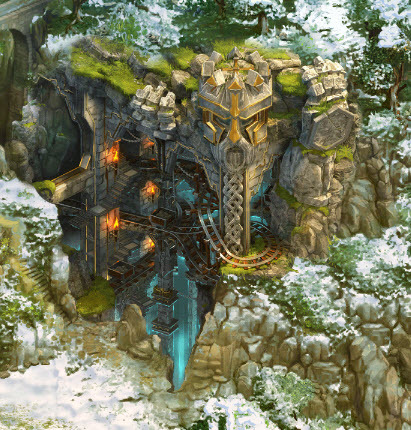 With each level this wonder is upgraded, the Ancient Wonder power increases by 3.75%, and 7.5% on Rune level upgrades. 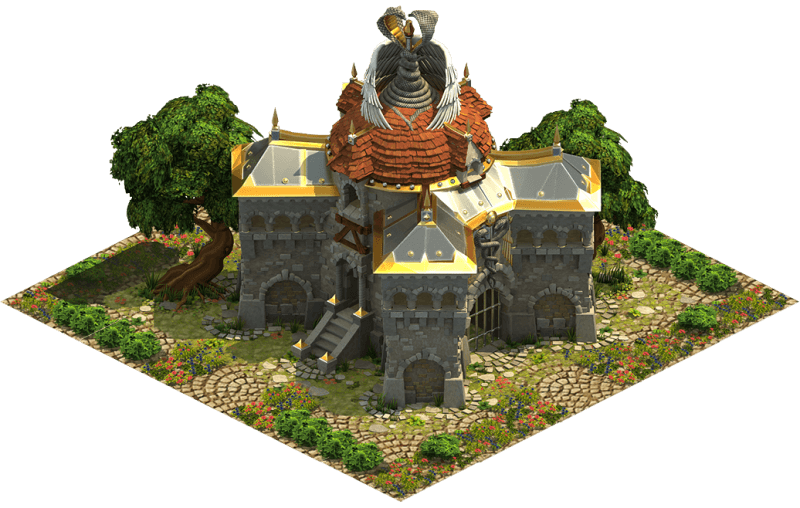 After placing this wonder, when you collect Orcs from any source, be it an Armory, an Ancient Wonder, or an Orc-producing event building, you will receive some of your first or second tier boosted sentient goods. 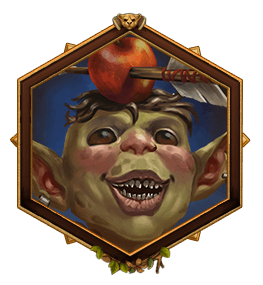 The amount you receive will be calculated as a percentage of the number of Orcs you collect. The percentage will increase as you upgrade the Wonder. Note: Each separate collection triggers a new random determination of goods received. If you collect several Orc productions with one click/mouse action, this will count as one production, and the goods received will be either all Sentient Tier 1 (S1) or all Sentient Tier 2 (S2). 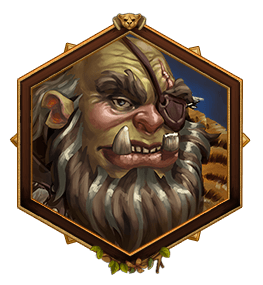 If you would like some of each S1 and S2, you may want to collect Orcs from one armory/source at a time, rather than all at once, so that you are more likely to get at least some of the goods you prefer. In other words, click and release each one separately, vs. clicking and dragging across all of them at once. 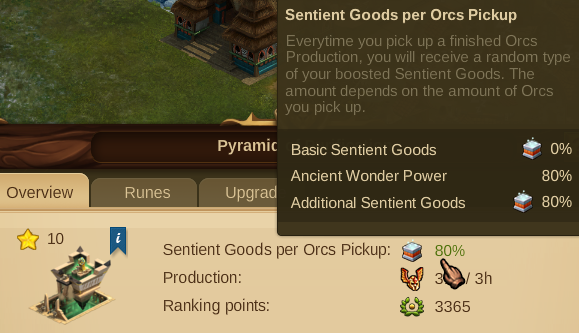 The ‘Ancient Wonder Power’ is the % of Orcs you receive in Sentient Goods. When you first place the Ancient Wonder, this will be 30%, meaning it will produce Sentient Goods every time you produce and collect Orcs at a rate of 30% of the Orcs you collect. 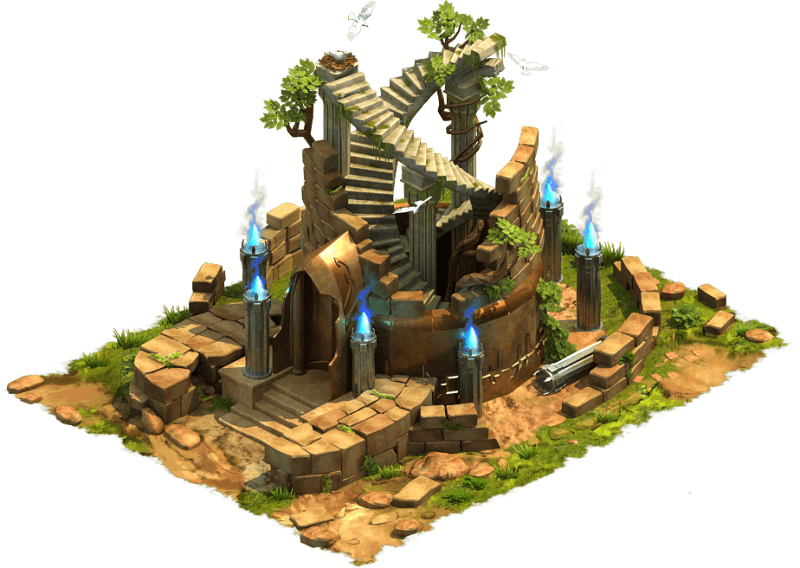 With each level this wonder is upgraded, the Ancient Wonder power increases by 5%, and 10% on Rune level upgrades. You need more Sentient Goods. You don’t need more Sentient Goods. Once you place this wonder, your Ensorcelled Endowments will begin to last longer. Instead of 48 hours, it will last for just over 55, and longer at higher levels. 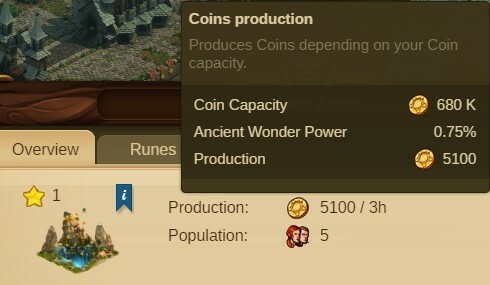 The ‘Ancient Wonder Power’ is the % increase in duration. 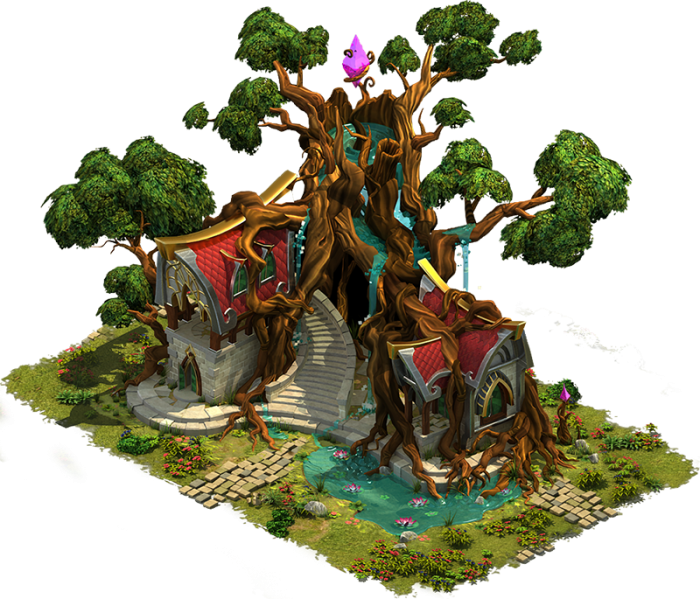 When you first place the Ancient Wonder, this will be 15%, meaning Ensorcelled Endowment Enchantments will last 15% longer than normal. 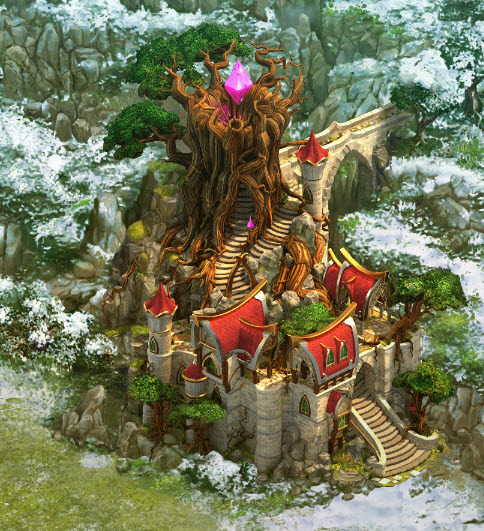 With each level this wonder is upgraded, the Ancient Wonder power increases by 2.5%, and 5% on Rune level upgrades. Once you place this wonder, your Ensorcelled Endowments will be more powerful. The Ancient Wonder Power increases by 1% for each Rune level upgrade. 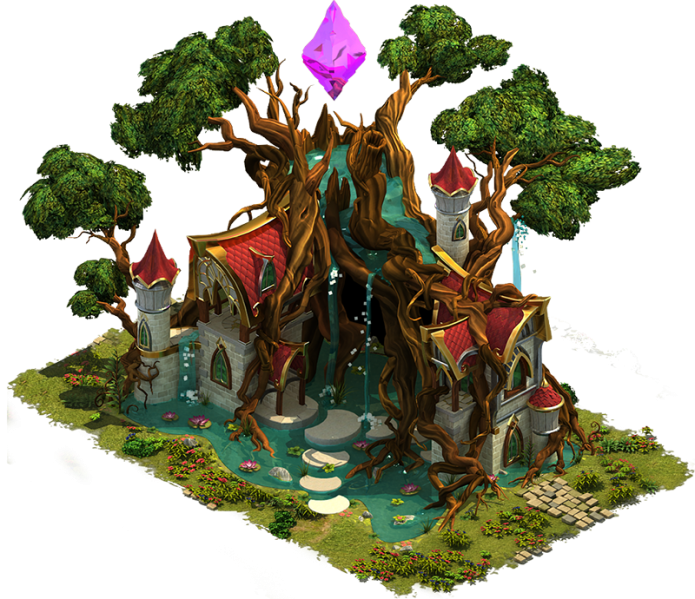 Once you place this wonder, neighborly help will begin boosting the mana output on any building which has been enchanted with Ensorcelled Endowment. 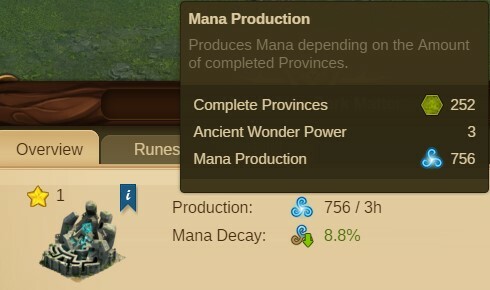 The ‘Ancient Wonder Power’ is the % increase to mana production you will receive. 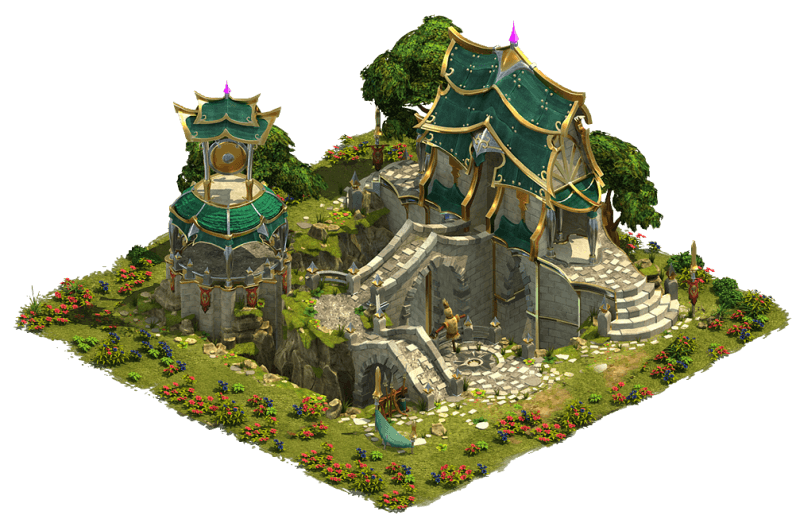 When you first place the Ancient Wonder, this will be 15%, meaning each Ensorcelled Endowment Enchantment added to a polished culture building will produce 15% more mana than usual. 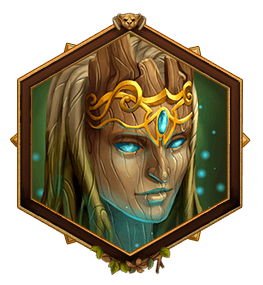 The Ancient Wonder Power increases by 2.5% with each upgrade, and 5% on Rune Level upgrades. You would like to increase your mana production. You use Ensorcelled Endowment enchantments often. You rarely if ever have a culture bonus or don’t use Ensorcelled Endowment enchantments often.